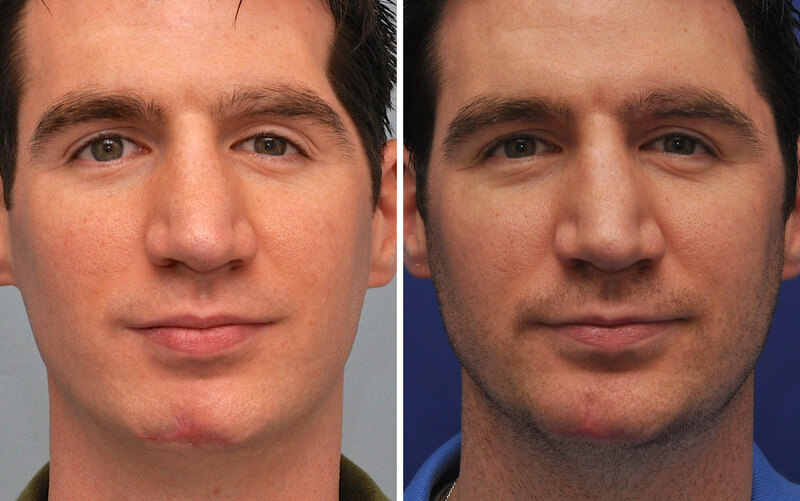 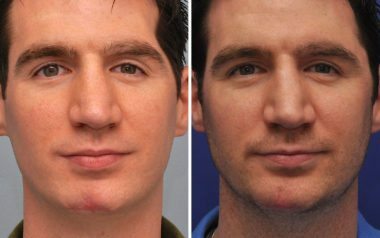 Male patient underwent fat transfer to improve asymmetry in the left forehead and improve depression of scar on chin. 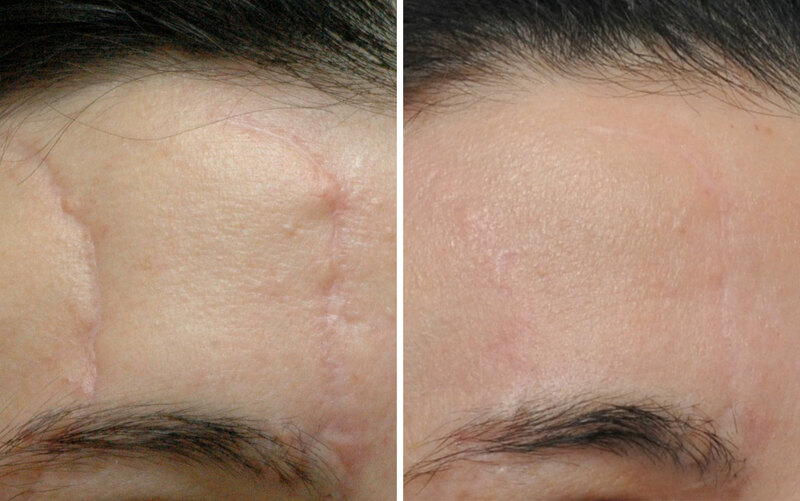 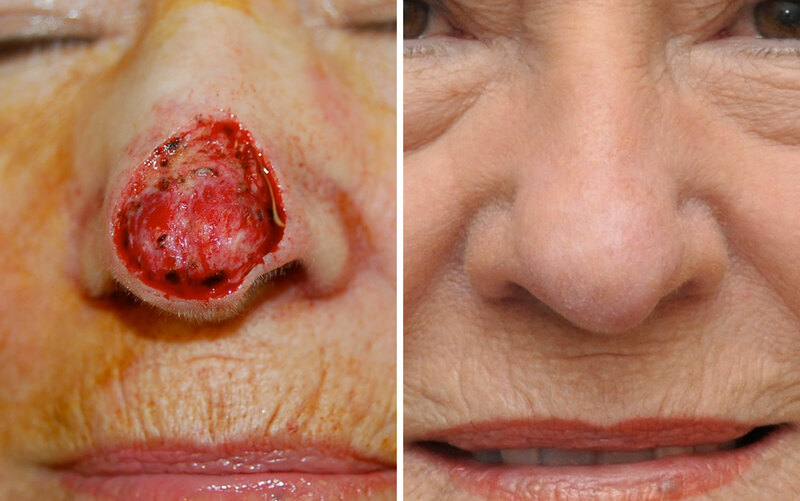 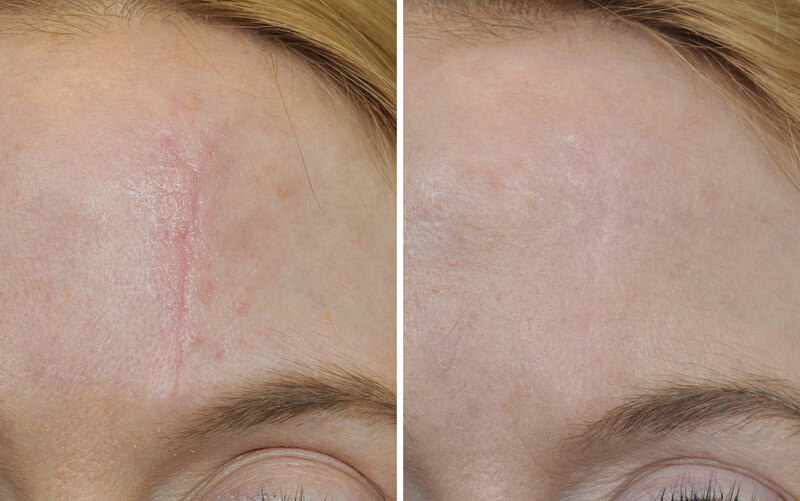 Female patient, scar on forehead treated using geometric broken line closure, followed by dermabrasion. 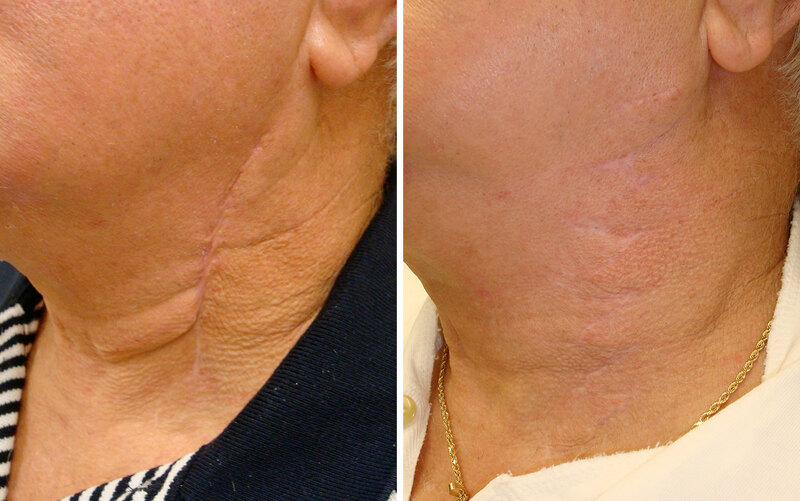 Male patient, scar on neck treated using running zplasty.